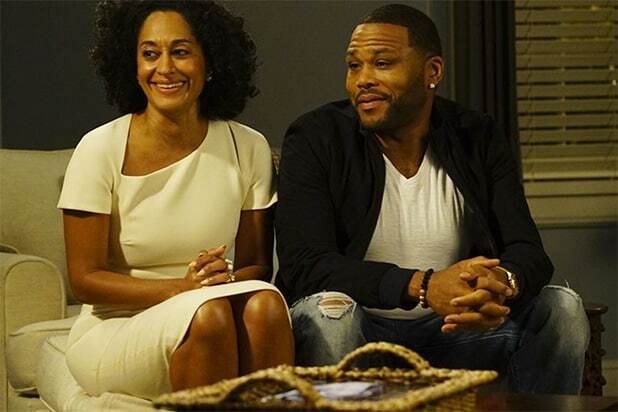 Anthony Anderson and Tracee Ellis Ross, "Black-ish"If Anthony Anderson were to win for Outstanding Lead Actor in a Comedy Series this year, it would mark his first win after one previous nomination. His co-star Tracee Ellis Ross could also become a first-time winner this year for her role on the ABC family comedy. 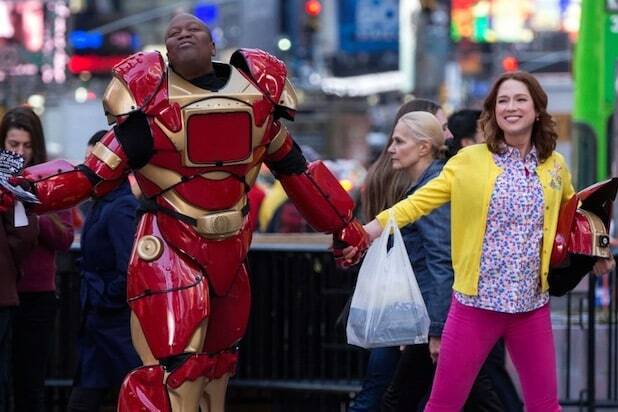 Ellie Kemper and Tituss Burgess, "Unbreakable Kimmy Schmidt"After missing the cut for nominations last year, Ellie Kemper could snag her first Emmy for her role on Netflix's "Unbreakable Kimmy Schmidt." Tituss Burgess is also up for an Emmy in the supporting category. 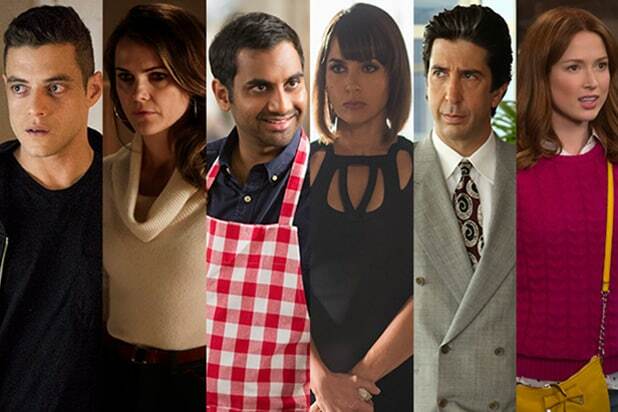 Aziz Ansari, "Master of None""Parks and Recreation" alum Aziz Ansari will have a few chances to win his first Emmy this year, including in the acting, writing and directing categories, as well as Outstanding Comedy Series for Netflix's "Master of None." Rami Malek, "Mr. Robot"USA broke through at this year's Emmys in a big way with "Mr. Robot," and a win for newcomer Rami Malek would be a big win for both the actor and the network. Matthew Rhys and Keri Russell, "The Americans"Fans were happy to see FX's "The Americans" finally get some recognition, and both of its leads would be first-time winners if they were to walk away with a trophy. Kevin Spacey and Robin Wright, "House of Cards"Kevin Spacey and Robin Wright have both been nominated multiple times for their work on Netflix's "House of Cards," but neither have come out on top yet. Kirsten Dunst, "Fargo""The People v. O.J. 's" Sarah Paulson is heavily favored to win in the Outstanding Lead Actress in a Limited Series or TV Movie category, but a win for Kirsten Dunst would be a first for the "Fargo" star. Cuba Gooding Jr., Courtney B. Vance, David Schwimmer, John Travolta and Sterling K. Brown, "The People v. O.J. Simpson: American Crime Story"The cast of the Ryan Murphy miniseries "People v. O.J." swept the limited series acting nominations, and most of them -- even the veteran actors -- would be first-time Emmy winners this year. Hugh Laurie and Tom Hiddleston, "The Night Manager"Hugh Laurie earned multiple Emmy nominations for the Fox medical drama "House," but never took home the trophy. His co-star, Tom Hiddleston, on the other hand, is a first-time nominee. Kerry Washington, "Confirmation""Scandal" star Kerry Washington was left out of the Lead Actress in a Drama Series category this year, but could still win her first Emmy for her role as Anita Hill in the HBO movie "Confirmation." Emilia Clarke, Lena Headey, Maisie Williams and Kit Harington, "Game of Thrones"With the exception of Peter Dinklage, HBO's "Game of Thrones" hasn't had any of its actors take home Emmys, but Dinklage and four of his co-stars have another shot this year. Keegan-Michael Key, "Key and Peele"Interestingly, the Emmys chose to nominate Keegan-Michael Key in the acting category over his partner Jordan Peele. Neither half of the duo has yet to win an Emmy. Constance Zimmer, "UnReal"Along with "Mr. Robot," Lifetime's "UnReal" was one of the cable shows to make big waves last summer, and as a result star Constance Zimmer is up for her first Emmy in the Outstanding Supporting Actress in a Drama category. Alec Berg, "Silicon Valley"Comedy veteran Alec Berg has written for both "Seinfeld" and "Curb Your Enthusiasm," but he has yet to win an Emmy. He'll have a few shots with HBO's "Silicon Valley" this year, including in the writing, directing and series categories. Miguel Sapochnik, "Game of Thrones""Game of Thrones" earned heaps of praise for this season's penultimate episode, which featured an epic and sweeping battle scene. Much of the credit goes to director Miguel Sapochnik, who scored his first Emmy nomination for the episode. Beyonce Knowles and Kahlil Joseph, "Lemonade"Beyonce is a force to be reckoned with in music, but she's up for her first Emmy this year alongside co-director Khalil Joseph, with whom she collaborated on her big HBO visual album "Lemonade." Rob Delaney and Sharon Horgan, "Catastrophe"Amazon's under-appreciated comedy "Catastrophe" was left out of the Outstanding Comedy Series category, but co-creators and stars Rob Delaney and Sharon Horgan were recognized for the writing in the show's pilot. Robert and Michelle King, "The Good Wife"Husband-wife duo Robert and Michelle King will have one last chance to score an Emmy for their CBS drama "The Good Wife" this year with a writing nomination. Sam Esmail, "UnReal"Like "Mr. Robot" star Rami Malek, creator Sam Esmail earned his first two Emmy nominations for the USA drama, for writing and Outstanding Drama Series. Marti Noxon and Sarah Gertrude Shapiro, "UnReal""UnReal" co-creators Marti Noxon and Sarah Gertrude Shapiro missed out on a Drama Series nomination for their Lifetime show, but the duo did score a writing nomination this year.